I wore these boots all four weekends of the Dickens Christmas Fair. I spend most of my day there either standing or dancing, so comfortable footwear is very important. I did buy a half size larger, and that was a good idea. Once broken in, these are excellent boots to be in all day long. Great fit, can wear it all day, just the right height, (can wear it in my Jetta), not exaggerated, subtle flare and smooth transition to flat top is perfect, The delicate side feathers were unexpected and a welcome embellishment. Loved this hat, although it was slightly too small. Maybe it should set on a mound of hair, but my hair is short. It matched a dress I have perfectly and the quality is good. Excellent price for such quality. Fabric is slightly less subdued than pictured, but that could be caused by my display. Don't let the absence of front pockets discourage you, this coat comes with storage space aplenty. One inside breast pocket opens vertically while the other opens horizontally. The hidden pockets in the tails take some practice to access easily, but they are indeed out of sight. The back is gathered at the tails, giving a very fit appearance to the wearer. Demands compliments from passers-by. You guys were super-easy to work with. Thank you for the timely refund on returned items that I decided not to use. I have found H.E. extremely easy to work with. My prior experienc as a corporate purchasing agent allows me to be fully aware that not all businesses look out so well for their customers. Quality seemed good, Web site nicely laid out, prices seemed reasonable. After first purchase, realized quality was good, and have returned. You need to fix your paypal payment method. I had a horrible time with it and even though I had plenty of money in my Paypal account it wouldn't go. I finally had to call and order over the phone with my credit card. If I hadn't needed the item so badly you would have permanently lost a customer. the pants that i got,i sent back for a larger size on december 13th, i havent had any conformation on the new size being sent. Very good service, product arrived a long time before the expected date. A little difficulty using the online payment system. Unfortunately I cannot recall the exact issue; if it arises again next time I purchase something, I will detail it. Otherwise, great presentation, wonderful selection of high quality products. I will be back for more! Ordered Saturday, arrived Monday and the product was beautiful. I couldn't be more pleased. 3exce;;ent quality, excellent valyue, speedy service! Great products very friendly over the phone. Awesome experience overall. Loved the clothes I got! And super fast shipping! 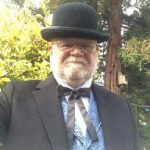 i play in a local band with a victorian theme in mind so i wish you guys did sponsoring. id wear your clothes all day and tell people to buy them during our shows. we could even put stickers on the bass drum for gentlemen's emporium! Our grandson has been looking for red longjohns with drop seat for a long time. I was glad to find them, even though maybe he has already found YOU. Thanks, you have a good selection of finds. Gentleman's Emporium's product descriptions are accurate, their products are high quality, and they process and ship orders quite promptly. I have no complaints whatsoever. Excellent transaction. Always a pleasure doing business with you. The purchase was quick and simple and the delivery was timely.